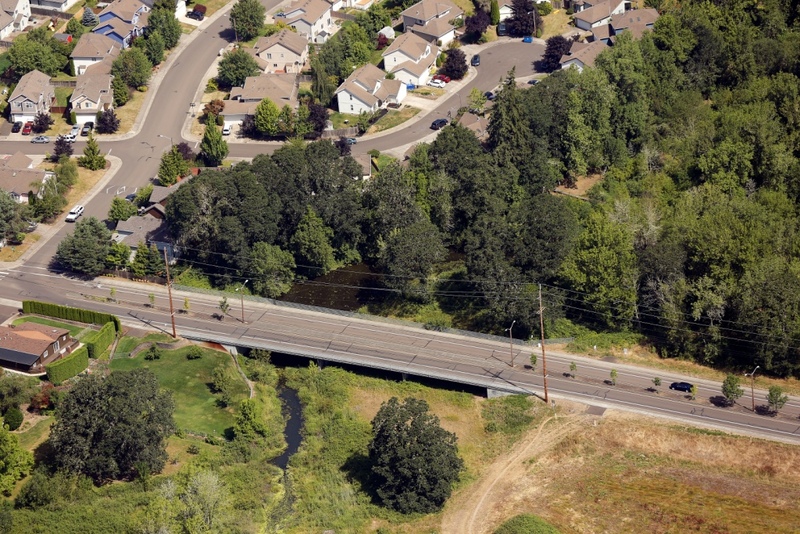 Project Description: This project developed improved access for a large section of the City of Albany that was developing on a site that had only one access which flooded in major storms. 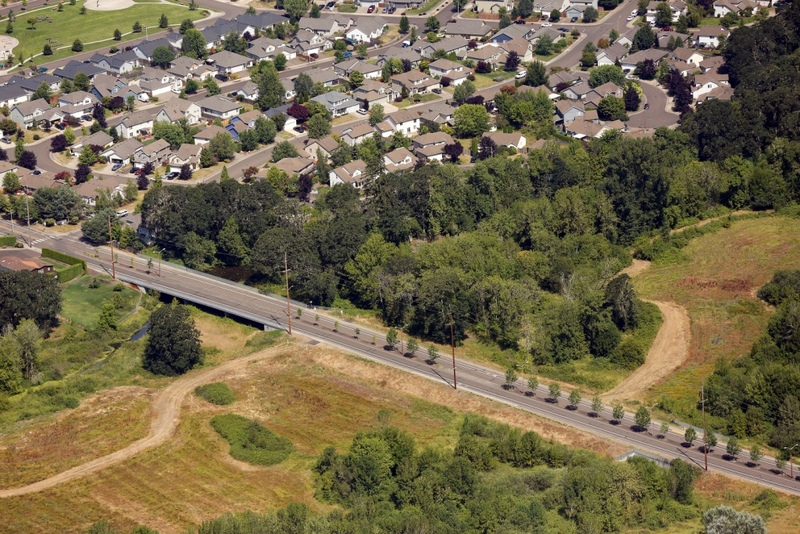 A preliminary study reviewed several access options and concluded with a recommendation for a final design layout using a roadway with two 20-lanes in each direction separated by a median. The roadway was elevated above the flood elevation, requiring the design and construction of a 200-foot long bridge. To provide access during construction, a temporary roadway and bridge was designed and then removed after construction was complete. The project also included widening Highway 99E at the 53rd Avenue intersection and the installation of a new traffic signal.